The perfect piece for outdoor entertainment, we're sure your family and friends will love this Berlin Gardens Poly Outdoor Bar. With ample room for four and underneath storage for your drinks, cups and bar accessories, you'll have everything you need handy to get the most out of your get togethers with this beautiful centerpiece bar. This poly bar also functions as the perfect server when entertaining larger groups, giving you the space you need for drinks and snacks before the big meal! Each bar is handcrafted from environmentally friendly poly, in an array of colors and finished to perfection to match your decor. And, since it's backed by a 20 year warranty for residential use, you can be sure to get decades of use, even when faced with the elements all year long. 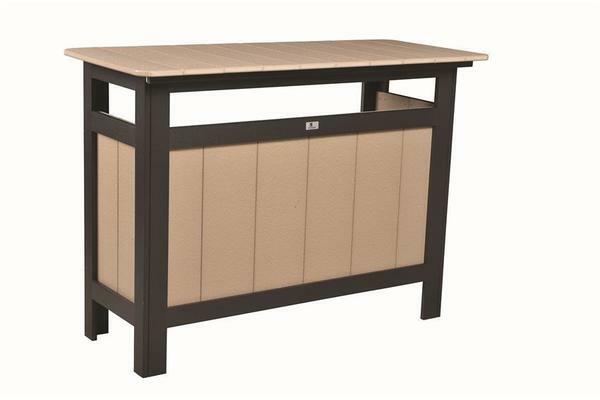 Our Berlin Gardens Poly Outdoor Bar will also make a great addition to your business, providing a beautiful place for your patrons to relax and enjoy a cold beverage on those warm summer days. 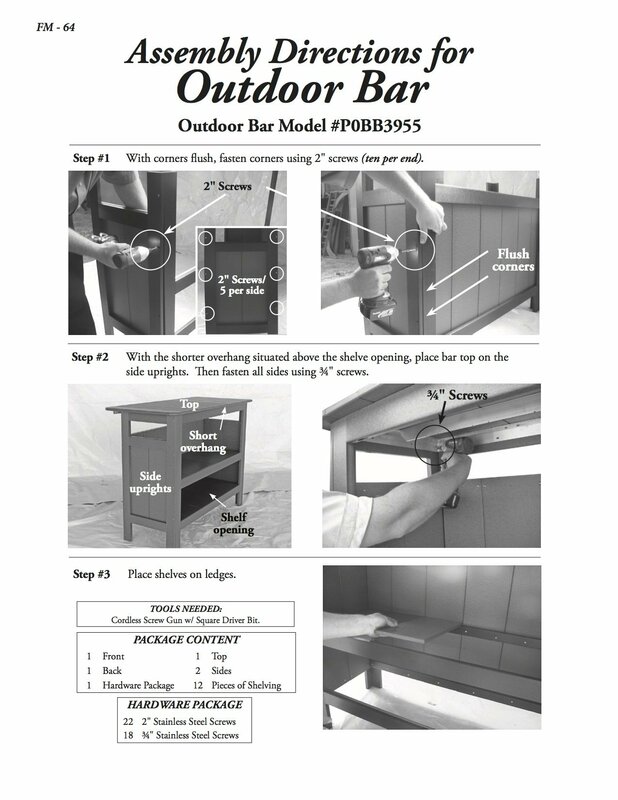 Backed by a five year warranty for commercial use and available in a array of bold colors to suit your needs, this outdoor bar is a great addition to your outdoor area. Top Storage Height: 15 1/4"
Bottom Storage Height: 9 1/2"